This weekend autistic people took over #AutismSpeaks10, the Twitter hashtag created by the large advocacy organization to celebrate its 10-year anniversary. "Stop treating us like we're broken and need fixing," one wrote. #AutismSpeaks10: where first-class #ActuallyAutistic are treated as second-class citizens. 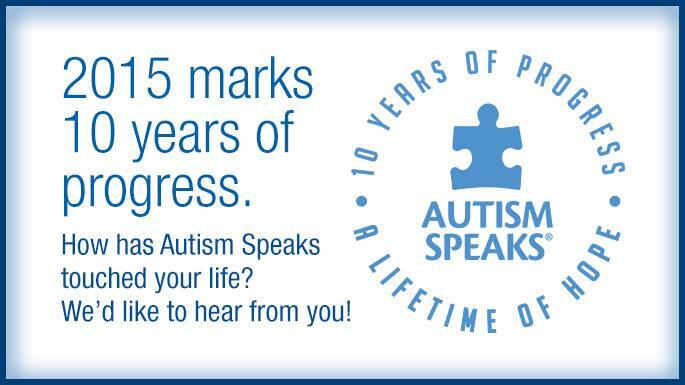 Wednesday will mark the 10th birthday of Autism Speaks, the world's largest autism advocacy organization. To celebrate, Autism Speaks encouraged its 168,000 Twitter followers and 1.5 million Facebook fans to use the hashtag #AutismSpeaks10 to share "how AS has touched your life." Instead of heartwarming stories of gratitude, the hashtag has sparked hundreds of angry missives from autistic people and their supporters who say Autism Speaks does not speak for them. "It really came out of the autistic Twittersphere, which saw this as an opportunity to highlight the fact that Autism Speaks' 10 years of existence have, in fact, made things worse for us, not better," Ari Ne'eman, president of the Autistic Self Advocacy Network, told BuzzFeed News. Its detractors claim that Autism Speaks portrays autism as a frightening disease in desperate need of a cure. Some are also angry that the organization has no autistic people in positions of senior leadership, and say that it doesn't put enough of its ample resources toward programs that will improve their everyday lives. This is only the latest scuffle in a long-running controversy among scientists, advocates, and policy makers about the nature of autism, a developmental disorder that is characterized by difficulties in communication and social interactions, as well as repetitive behaviors and sensory sensitivities. Despite these challenges, many autistic people say that the condition is not a scourge to be eliminated, but rather an integral part of their identity. "We've never felt like there's a conflict between autism as an identity and acknowledging autism as a disability," Ne'eman said. Autism Speaks declined an interview request from BuzzFeed News. "We celebrate every person with autism, and every person, even those who are proudly able to advocate for themselves, deserves fairness when it comes to housing, employment and insurance reform," the organization wrote in an emailed statement. "At the same time, our efforts never cease in the support of people in need of an advocate, and the funding of research that will help all those who are struggling with autism." Autism Speaks has retweeted about a dozen positive messages for #AutismSpeaks10, including one from the actor Ed Asner, who has five family members with autism. The backlash against Autism Speaks intensified in 2009, when the organization produced a short video called "I Am Autism." The video has a voice-over representing "autism," which will, it warns, "bankrupt you," "make your marriage fail," and "rob you of your children and your dreams." Many autistic people spoke out against the video. "I was a handful and a half when I was a kid," Ibby Grace, an autistic professor at National Louis University in Chicago, told BuzzFeed News. "I'm glad my parents got through that. But at least no one was telling them that they were going to get divorced and their life was over." Autism Speaks removed the video from its website. 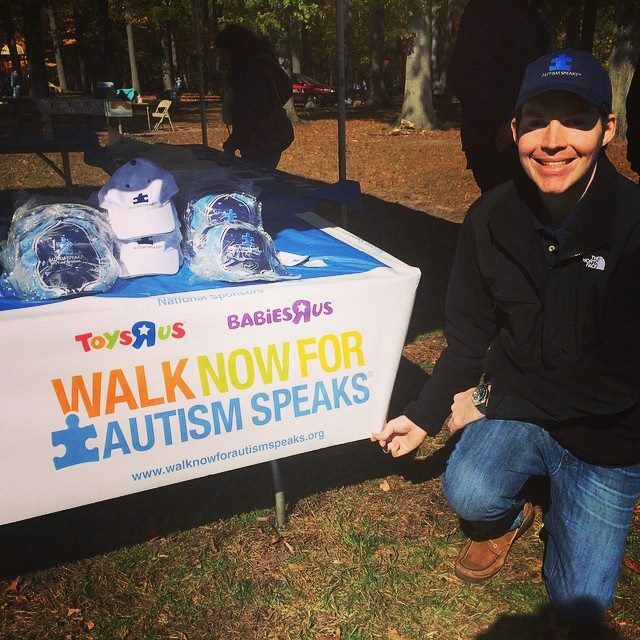 In November 2013 the organization set off another social-media storm when one of its founders, Suzanne Wright, posted a "call for action" on the Autism Speaks website, in advance of a policy summit in Washington, D.C.
Autism is a "monumental health crisis," Wright wrote. "Life is lived moment-to-moment. In anticipation of the child's next move. In despair. In fear of the future." In response to Wright's piece, John Elder Robison, a well-known autistic advocate and author, resigned from the organization's Science and Treatment boards. "She says things I would never say to people with autism and cannot in good conscience stand by," he wrote on his blog. "Given her role as leader of the organization, I am afraid it is my signal to exit the Autism Speaks stage." The recent hubbub began last week, when Autism Speaks launched its birthday hashtag. A few autistic people spoke out in favor of the organization. Kerry Magro was diagnosed with autism when he was 4 years old, and his life "was not always an easy one for my parents or me," he wrote in a blog post. In college he landed an internship within Autism Speaks, which turned into a consulting job and then a full-time position. "This March will be my two-year anniversary since I started with them full-time, and I will continue to be grateful for the opportunities they've given me, as well as the people I've met along the way," he wrote. "They took a chance on me, and I'll be forever thankful." But the vast majority of responses slammed the organization. Autism Speaks is the most influential autism advocacy organization in the world, bringing in nearly $50 million in donations in 2013. It spends $15.3 million on scientific research, mostly looking for the root neurological and genetic causes of autism. "Some of the research would stop us from being born, as it has with Down syndrome," Grace said. In contrast, the organization spent just $4.6 million on "family services" grants, which fund programs aiming to improve the care, education, and employment of autistic people. "It would be wonderful if they spent money on things like helping poorer people with autism get job support and communication support, like iPads," Grace added. She wishes Autism Speaks would listen to one of its slogans, "It's time to listen." "It's time to listen — to us," she said.